Moringa oleifera (Moringa) oil (and) Hydrogenated vegetable oil (and) Tocopherol (and) Medium chain Triglyceride. Moringa butter is used in the personal care and cosmetic industry due to its emollient and skin moisturizing properties. It is a stable raw material with a high resistance to oxidation and it is considered a much lighter. 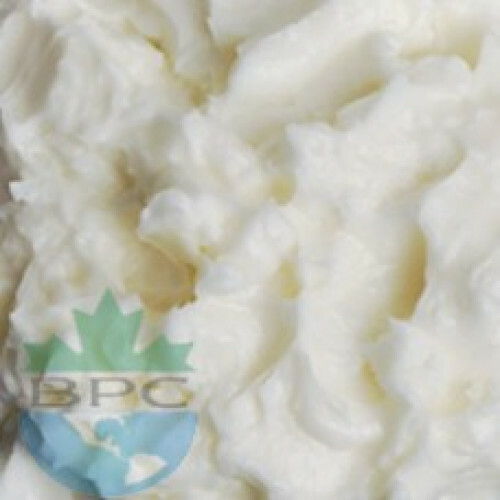 The butter provides nutrition to our skin and relieves aging signs. INCI name : Moringa oleifera (Moringa) oil (and) Hydrogenated vegetable oil (and) Tocopherol (and) Medium chain Triglyceride. Moringa butter pacifies dry skin. It is helpful in dry, irritated skin conditions like eczema, psoriasis and acne – because of its anti-inflammatory properties, moringa seed butter can be used as a spot treatment for acne. It also aids the body in healing acne scars. Moringa butter is a popular element in personal care products such as hair creams, conditioners, skin lotions, and body butters.